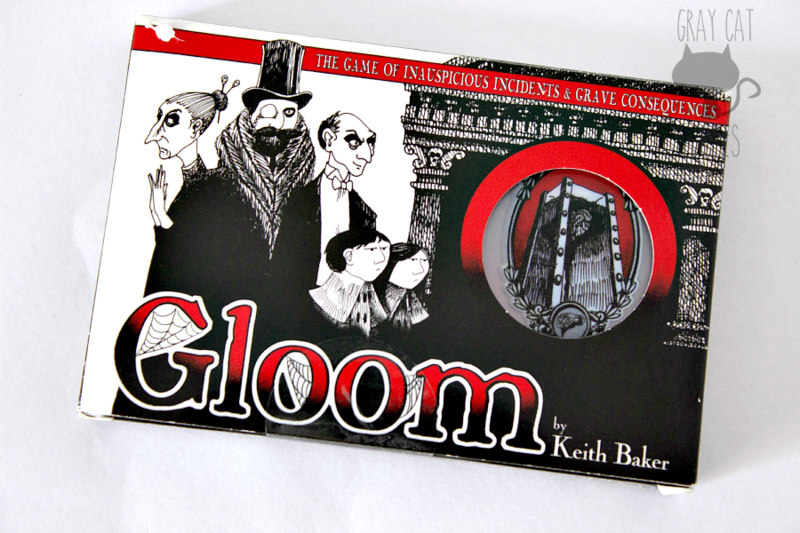 The Gloom card game is a storytelling game that turns the typical goals of a board game on its head. You control a family, and instead of helping them, you want to make them as miserable as possible before showing them an untimely end. It’s very cool and gives a lot of laughs…with the right group. 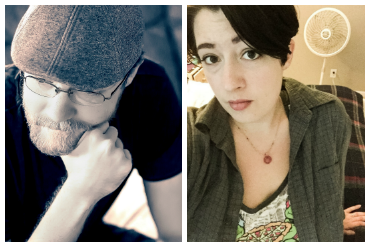 Chelsey and I first saw Gloom on Wil Wheaton’s Tabletop, and she was instantly hooked. 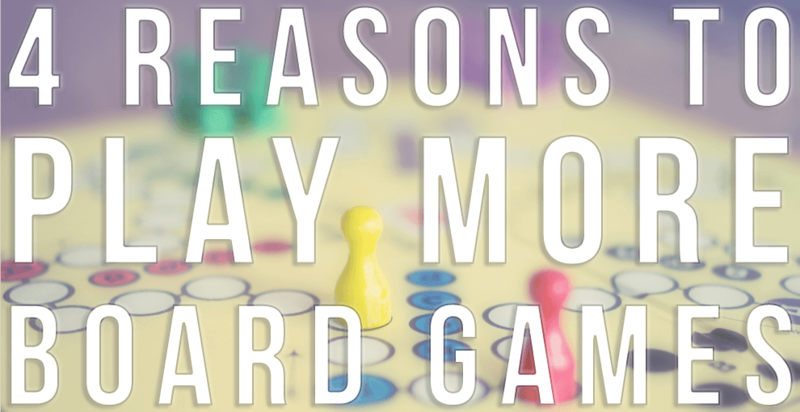 I was not really so enthused with the idea of a card game where you’re not really trying to win so much as tell an interesting and funny story. We eventually got the game, and I was pleasantly surprised! 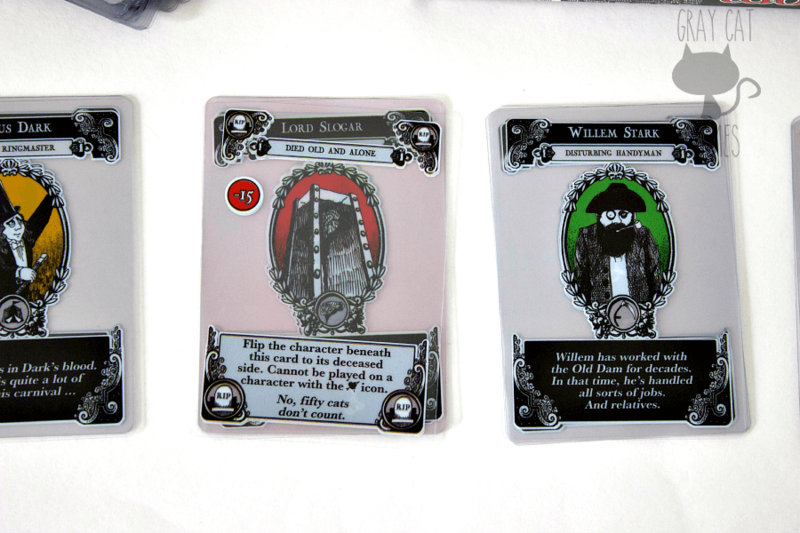 Gloom is a very neat experience that works well with people who have an idea of how to tell a compelling story. It also makes for a raucous drunken gathering game. Gloom is tiny, tiny, tiny. It’s just a deck of cards in a small box. Definitely one you can throw in your bag and take anywhere! Gloom is just a deck of cards, and there are no bits to speak of in the base game. Everything you need is contained in the deck! What kinds of materials are in the box? 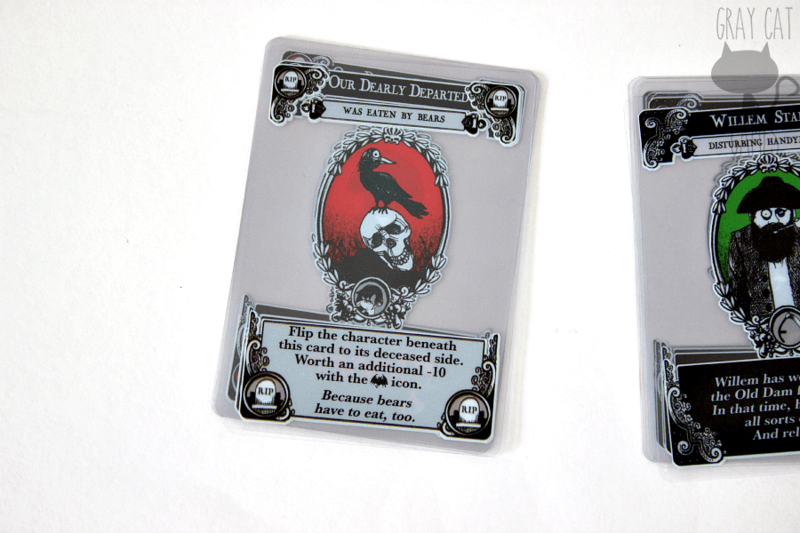 The deck of cards that comes with Gloom is made using a very interesting material–cellulose acetate. This allows the cards to be completely transparent, except for the parts where something is printed. This fits in very well with the mechanic of the game. The transparent cards are pretty cool. The artwork is gothic and cartoonish, suitably “gloomy.” I rather like it, and it gives a unique feel to each family in the game, whereas they would otherwise be identical. 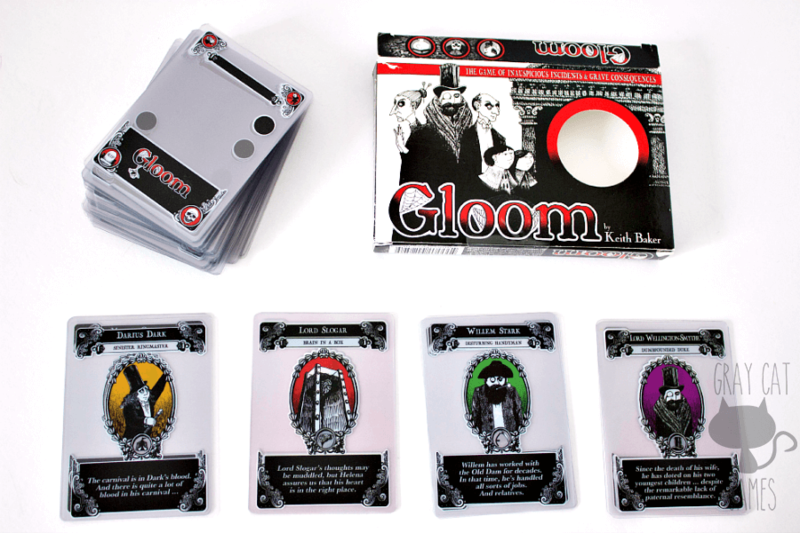 In Gloom, each player takes control of a family, each containing five members. The families all have back stories and unique characters that make a good base for storytelling. 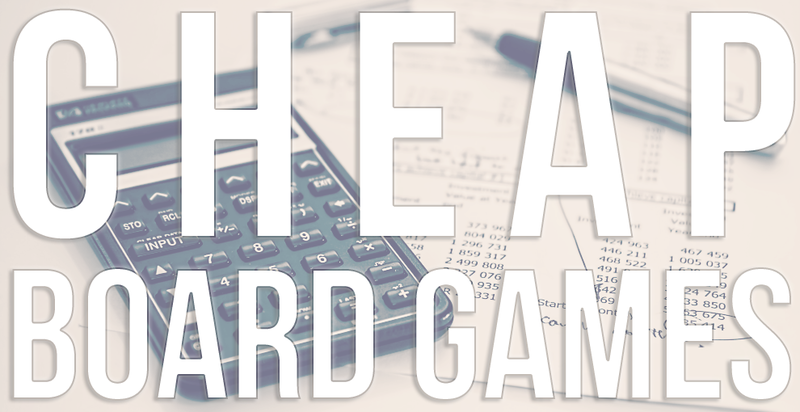 Each player is dealt a hand of cards from the deck. On your turn, you play two cards from your hand. These can include bad fortune cards (like, “Stung by bees”) or good things on other players’ characters (like, “Found love on the lake”). 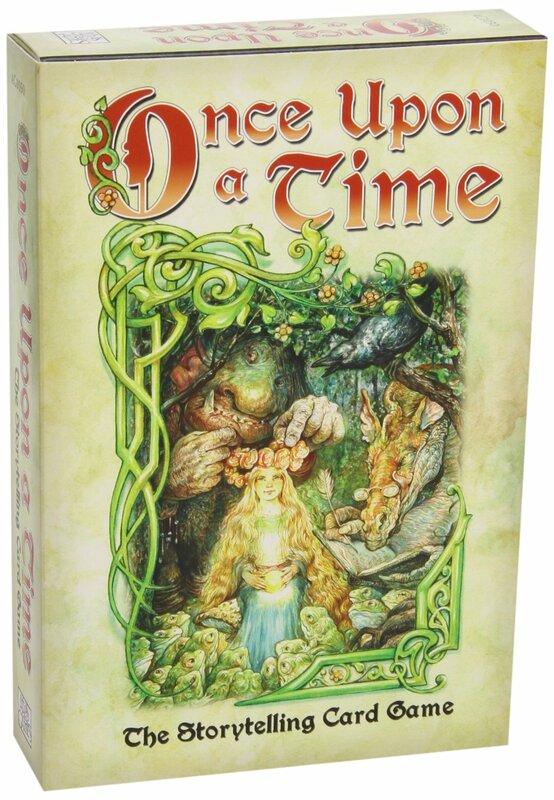 All the while, you’re telling a short narrative of how the particular incident happened to a character. Each card has a value attached to it, and this will either raise or lower a character’s emotional state. If one of your characters has a score lower than 0, you can play a death card on them to remove them from the game. Once everyone in someone’s family is killed, the game ends, and the player with the lowest total score wins! A negative modifier means you can kill your character on the next turn, if you want. However, you get more points at the end if you can add extra modifiers. Some untimely death cards, such as the one pictured here, have their own modifiers, as well. Is the game fiddly (are there a lot of manipulating pieces/math that slows the game down)? There’s not a lot of manipulation of pieces, since it’s just cards. I will say this, though. If you have someone who is really clunky with storytelling, it can feel like a drag waiting for them to finish their stupid turn so you can get back to telling your story. This is definitely a game where being a decent actor is just as important as being a decent writer. 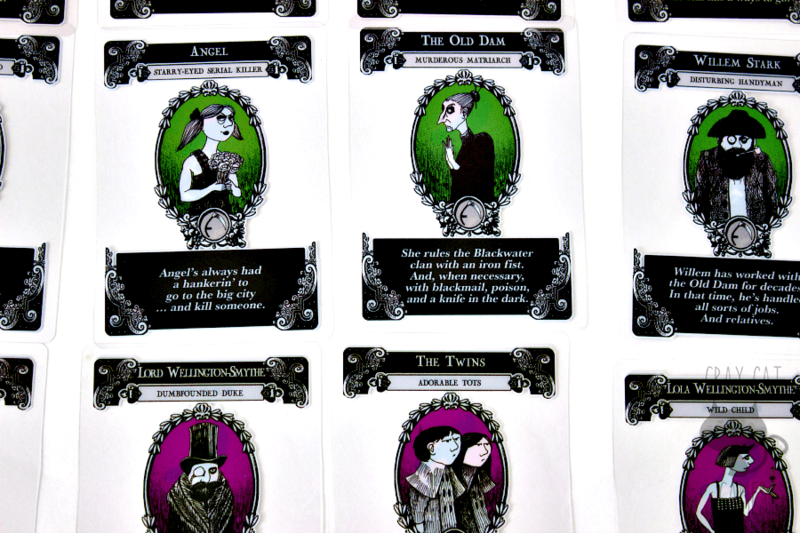 The characters come with stories printed on the cards. You can change it to whatever you like, though. In my opinion, the idea is really unique and fun. This is highly dependent on the group, though. I’ve played games where players just weren’t putting much effort into the story aspect, and those are boring. 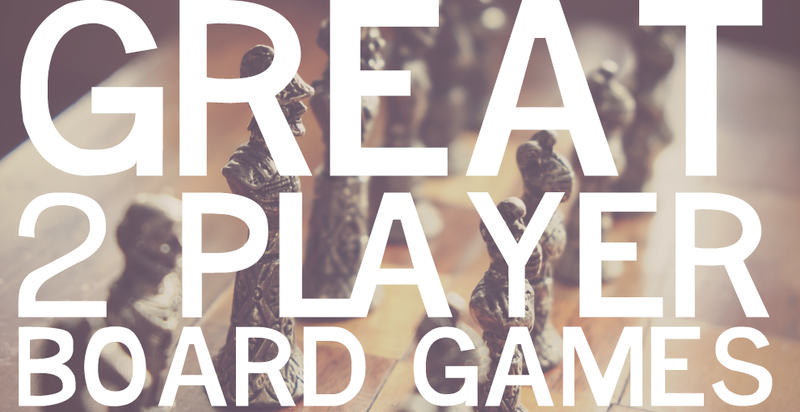 If you’re not taking the theme very seriously, this game is not much better than a simple game of war. But in the right setting, this game is fun. Chelsey and I have had many enjoyable sessions of Gloom. 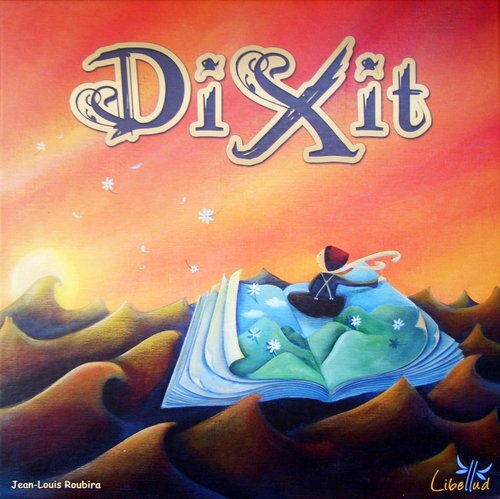 2-4 players can play Gloom. This is a tough question to answer for a game like Gloom. If you have 4 players who are all into the theme and are interactive and witty, then 4 players is awesome. But I’ve found that the pace of the game works best with 2 players. That way, you’re not trying to keep track of too much information for too long and can enjoy what’s going on at the other side of the table, as well. Gloom, for me, is not a game I want to play week after week. 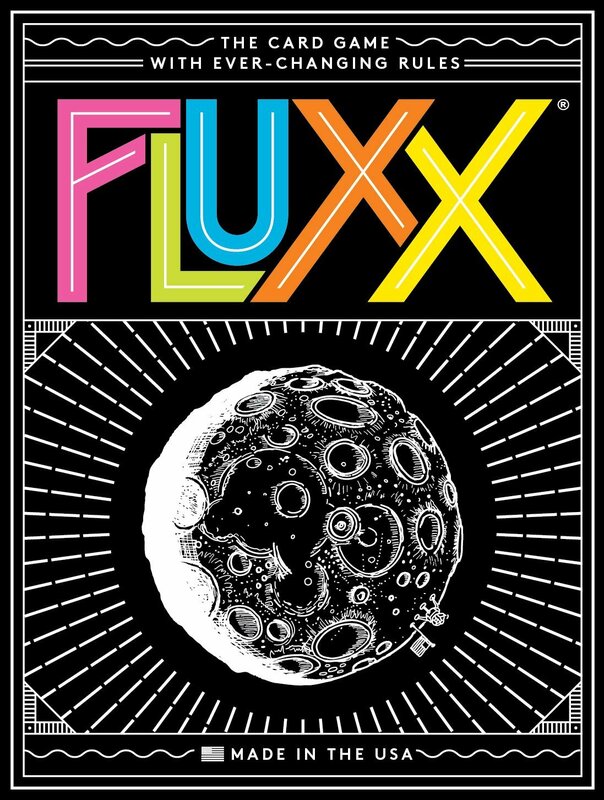 With two players, it takes upwards of 45 minutes to play. Once that’s done, it has ticked the box for me for quite a while. I don’t usually turn down an opportunity to play Gloom with Chelsey, but I have not found myself suggesting it to groups, either! Only once, definitely. That’s almost always enough to get my fill of Gloom. It’s not that it’s a bad game at all. It’s just that I don’t want to keep coming up with different stories for the same characters. So once I’m done, I’m usually ready to move onto another game! Amazon has the second edition of Gloom for about $17. Typically, it’s closer to $25. Considering how few pieces come in the game, this might seem expensive. But you have to remember that the cards are made of a less common material than cardboard. 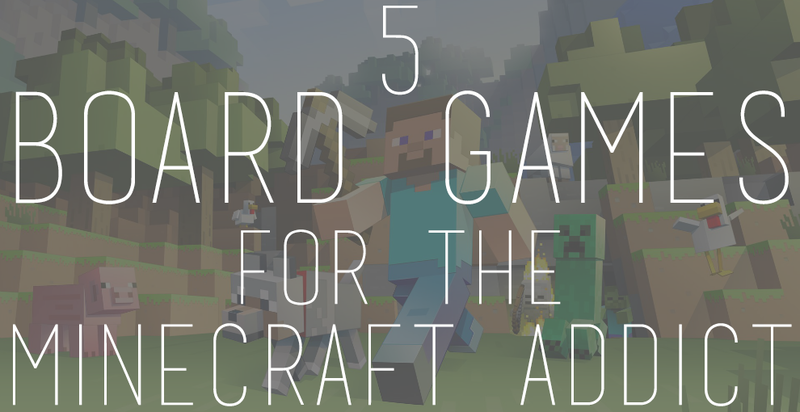 I’d say it is worth the price if you have someone who would like to play it with you. Gloom is so much fun to play as a drinking game. Things just go crazy. If you can get people yelling and laughing, Gloom is such a great time. 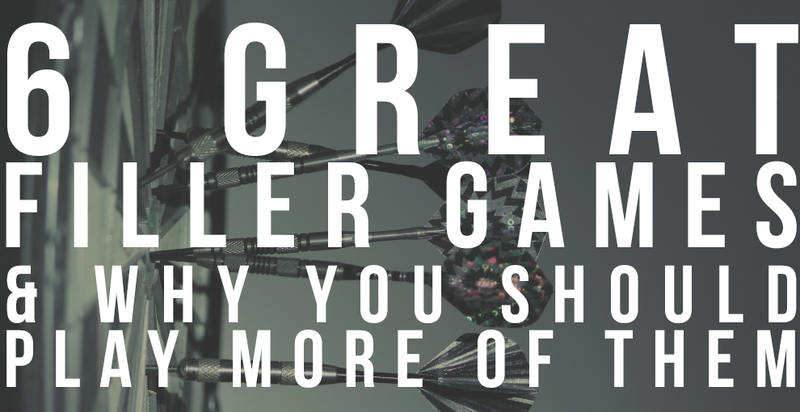 It can be hit and miss in other situations if you don’t have the right group, but with a few beers to lower your inhibitions, Gloom gets crazy. Anyone who likes telling stories. Gloom is for creative people, and it makes no bones about that. You’re not finding deep strategy here; you’re just trying to tell the most implausible and funny story of horrible, horrible misfortune you can. That’s the strength of Gloom, and you need people who want to act within those parameters. 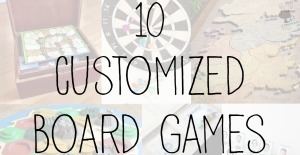 I have a friend who loved tabletop games. I’m going to share this with her. Thanks for sharing at the #AnythingGoes Link Party! Yes, tabletop is on my favorite list for a long time. My hubby like it too much. By the way, keep posting things like this. I loved it.